I was fortunate enough to have a conversation with U.S. Senator, Sheldon Whitehouse of Rhode Island during his visit to South Florida to discuss the effects of climate change to coastal communities. 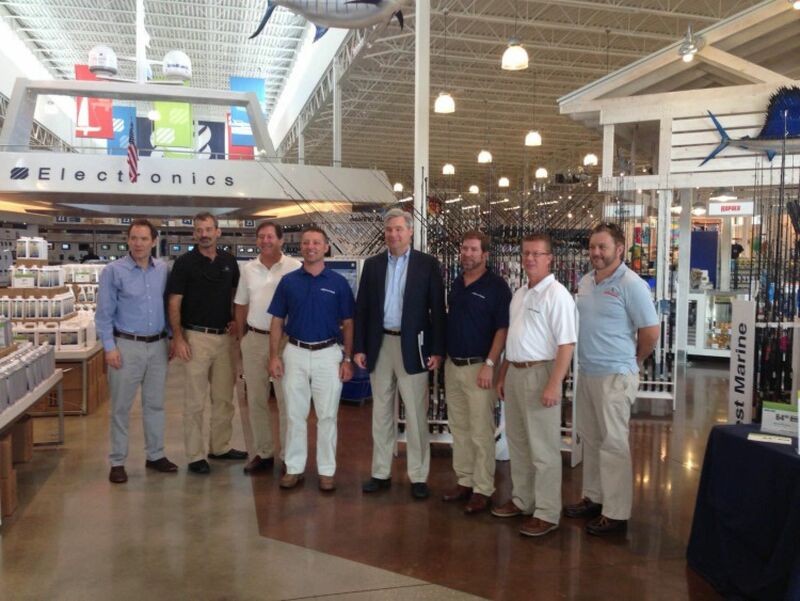 The meeting took place at West Marine’s flagship store in Fort Lauderdale as one of the many stops on Senator Whitehouse’s east-coast tour. Senator Whitehouse emphasized the need for healthy oceans, and the potential adverse effects of climate change. The Senator offered insight from other coastal communities and their concerns with maintaining healthy fish populations and clean water. Our group at West Marine listened carefully, and passed on our observations of what we see as potential hazards to marine commerce and the water which we all love and enjoy in South Florida. I believe we all left the meeting with a good feeling that the Senator shares the concerns of those that earn a living and have children that may want to earn a living on the ocean. Senator Whitehouse is a member of the Senate Environment and Works Committee and Chairman of the Sub-Committee on Clean Air and Nuclear Safety.